This past year BART has been working its way through the environmental review process for the planned extension to Livermore. The goals of this process were to select a preferred alignment alternative from among the many considered and to preserve necessary right-of-way. A draft Program Environmental Impact Report was released last fall, which provided preliminary discussion about a slew of potential alternatives for extending BART east of its Dublin/Pleasanton terminus. An additional alignment, Alternative 2B, emerged from the public comment that was provided on the draft document. This spring, the Livermore Planning Commission, Livermore City Council, and Tri-Valley Regional Rail Policy Working Group unanimously endorsed Alignment 2B, which is a hybrid of other alternatives included in the document. In particular, it combines the two station sites from Alternative 2A with Alternative 3’s Portola Avenue subway. This morning, the BART Board of Directors unanimously supported Alternative 2B as the preferred alignment and certified the the Program EIR. Although BART to Livermore has been discussed as a possibility for decades, today’s vote puts the project closer than ever to being a reality. Still, a great deal of difficult work remains, not the least of which is funding. BART to Livermore, Alternative 2B. Courtesy of BART. Under Alternative 2B, tracks would be extended east of BART’s current Dublin/Pleasanton terminus along the median of Interstate 580, and then would go into a trench at the Isabel interchange. There would be a cut-and-cover subway under Portola Avenue and Junction Avenue, with a new subway station in downtown Livermore, as in Alternative 3. East of downtown, the tracks would resurface and basically follow the Alternative 2A alignment parallel to the Union Pacific right-of-way, heading toward a surface Vasco Road station to Lawrence Livermore National Laboratory. Both the downtown and Vasco Road stations connect to existing ACE stations, and could facilitate an intermodal transfer with upgraded intercity rail in the Altamont corridor. A yard and shop would also be constructed east of Vasco Road. This alignment is notable for breaking the historic pattern of confining the BART right-of-way to freeway medians. Although Alternative 2B does include several miles of running in the freeway median, the decision to turn the tracks south of the freeway towards downtown demonstrates an evolving understanding of the role BART could and should play in the region. Rather than simply choosing the path of least resistance along the freeway to shorten suburban commutes, Alternative 2B strives to extract more long-term value from an expensive project. Alternative 2B could more satisfactorily accommodate transit-oriented development — including the 11,550 housing units that would have to be planned near extension station areas — without disturbing Livermore’s urban growth boundary. Station sitings near downtown and the laboratory are perhaps the most natural choices, in that they give riders easy access to local destinations and convenient transfer points to intercity rail. Of course, none of that comes cheaply, and Alternative 2B would be the most expensive of the bunch. Preliminary estimates peg the cost at $3.83 billion. It is a hefty chunk of change to extend heavy rail to a suburb with less than 100,000 people — although the Altamont connection would also put Central Valley riders within one transfer of many Bay Area destinations. It will take a lot of time and effort to secure the diverse portfolio of funding needed to construct the extension. $95 million is available to preserve right-of-way in this corridor, but many other sources will also have to be considered — including federal New Starts, potential revenue from high-occupancy toll lanes on Interstate 580, and future re-authorization of Alameda County’s Measure B sales tax. That and, you know, I wish BART would build out where they can actually turn a profit before any more of this suburban nonsense. What an insane amount of money for such little return! The idea that this is even being considered before Geary rail is unbelievable. However, probably the best alignment they could have picked, but at almost $4B it’ll never happen. For $800M however they might be able to get an eBART type DMU up and running before the Sun burns out. Let’s see if BART and Livermore figure that out. I’ve lived in Livermore for a long time, and I must say that I’m a bit surprised by the choice. I expected them to choose I-580 all the way to Greenville Rd. I also find it curious that they’ve chosen a tunnel instead of a viaduct for Portola Ave. and Junction Ave. But downtown Livermore (1st St. and Junction Ave.) is a reasonably central sort of place, and Vasco Rd. is right next to a major employer, Lawrence Livermore National Laboratory. There are some folks who fear the impacts of bringing BART directly downtown, and they preferred that the extension stick to the freeway median. But the boost of support from the community and the City backing Alternative 2B clearly played a big role in this decision, since that alternative wasn’t even included in BART’s draft PEIR. Greenville was ditched because development would interfere with the urban growth boundary, and the yard especially would have adversely impacted critical habitat for species. The Isabel station was also a problem for the UGB, and that played into the actual stations being pushed south, out of the median. What an insane amount of money for such little return! The idea that this is even being considered before Geary rail is unbelievable. Wow. Part of me is absolutely delighted that the board chose a downtown route. The other part is thinking there was a cheaper way of extending frequent rail service to Livermore, than using heavy rail. Having attended a couple of BART to Livermore meetings and witnessing the tone of the public, I thought the freeway alignment was all but a sure bet. It will be interesting to see how this transforms the city, specifically the downtown area in the years to come. Livermore’s growing up. Looking back, I felt that BART’s 2003 DMU proposal was far superior in it’s scope; establishing vital links through the San Ramon Valley to as far as Banta in San Joaquin County at a fraction of the cost of this line. Where rail is concerned, even with this plan sealed, I feel Altamont Commuter Express has an important role to play in the overall transit picture. Upgrading their fleet to more modern DMU’s, extending their service routes further into the East Bay and filling the gaps BART may leave behind. Projects like “eBart” could easily be run by ACE, and in doing so create another portal into the Central Valley. BART is a great service today, but after some questionable expansions, I think it’s clear that BART should not be extended anymore. Like another poster said, far too expensive for such little payoff. At those distances a subway system, a proprietary one at that, isn’t the right mode for the job. Expand commuter rail instead. Agree with all of the above. BART is subway technology, too costly to be using over such huge distances. The sprawl of the BART system is great than that of the New York Subway or London Underground, but BART is much less effective than either of those systems as the station and line density in the urban core is much lower. Developing a proper commuter rail network is the most important thing to sort out Bay Area transport. It would reduce commute times for people in eastern Contra Costa, eastern Alameada and San Joaquin counties, and allow BART to concentrate on using their technology for what it’s good at, i.e. burrowing under built up areas where it’s too expensive to put conventional rail. Fortunately this process is already in motion with the Altamont corridor project and upgraded Caltrain. First step is to upgrade and grade-separate the existing conventional gauge lines, get FRA waivers and run DMU services on them- Caltrain has exactly the right idea. As well as the existing commuter routes of Tracy-San Jose and Gilroy-San Jose-San Francisco, another obvious route is Brentwood-Richmond-Oakland-San Jose. This could feed commuters to BART at Richmond (southbound) and Oakland Coliseum (northbound) for the final leg across the bay. Long term, a new conventional gauge/BART tube under the bay could take commuters right into the new Transbay Terminal without having to transfer. As (I believe) I have mentioned here before, I thought the Tracy-Walnut Creek route proposed before had promise. Unfortunately, in these parts, well-intentioned commuter rail lines have a nasty habit of morphing into the latest and greatest BART extension. There are several good reasons not to extend BART further into the suburbs, cost being just one of them. These decisions are not made for technical or practical reasons, but for political ones. There is a light at the end of the tunnel, in that we may be about finished with suburban extensions once getting through the current batch. If any of us are still around to see it, a new urban line might be next up. Thats an incredible amount of money, what parts are driving up the costs? I know subway tunnel is expensive but its not that much tunneling and is not in a dense area so those costs should be at the low end of tunnel costs. 11 miles for $3.3 billion. I would think for that price you could get 7 miles of Geary subway. i will say i do like that this extension “ties the loose ends” of the BART branches (Dublin/Pleasanton and Bay Point/Concord). Instead of just ending in the middle of nowhere now at Dublin/Pleasanton (same with Bay Point line), it ends at a logical terminus… an established downtown/employment center and a place where an easy transfer can be made to an existing, low-cost commuter rail line with greater regional reach (ACE). Thats a logical permanent BART terminus. I very much believe that since we have BART we need to keep building the system and extend the heavy rail lines despite the cost. Yes its expensive to build but the Bay Area does not need to introduce its 54th transit operator or its 21st separate transit mode by building a low cost shuttle. Portland went cheap and built WES instead of extending its light rail line and WES carries very few people and has all kinds of restrictions due to FRA requirements. Do it right the first time and go all out with this extension. 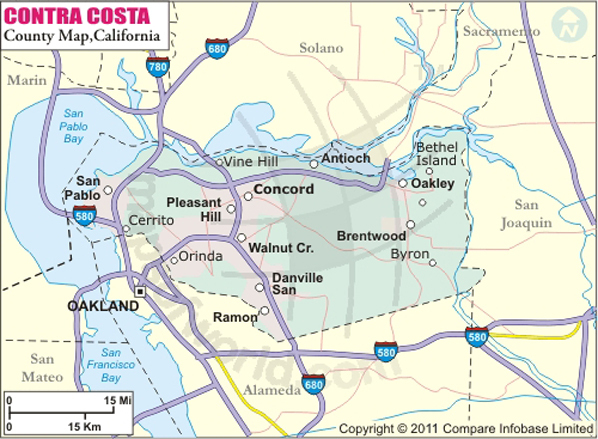 Well, there are large swaths of Alameda and CoCo County that aren’t near a BART station, but it’s a stretch to say that means there are a lot of people who live out there. I don’t have numbers in front of me, so this is speculation, but I’d guess the population of the East counties is roughly equivalent to the population of the SF neighborhoods without BART access (Northwest Quadrant, West Side, Bayview). Spending 3 bill on an extension serving these markets would undoubtedly generate more riders. That’s nearly $40,000 per Livermore resident. $160,000 for a family of four. Even if it draws riders from further east, and gets some reverse commuters to LLNL, the cost per new rider must be off the charts. This will never get built at that price. They’ll file the plans in Warehouse 13 and that will be the end of it. Upgrading ACE to HSR standards is much more plausible. I much rather they revive the Iron Horse Trail, an abandoned SP line from Concord to Pleasanton parallel to I-680, rejoin it with UPRR ROW to get to SJ and Livermore/Tracy, and be part of a larger regional rail system. Such a project would cost less, serve far more, and have intermodals with ACE and BART. Unfortunately, the Bay Area transportation leaders don’t care about transportation value. Although disappointed that BART is again focusing on suburban expansion, I’m pleased that the line will run through downtown Livermore versus the highway median. I agree with comments that enhancing commuter rail in this area of the county makes more sense than trying to mask a commuter rail as a subway system. The Warm Springs extension (billions for a 1-station 5.4-mile extension) is proof enough that BART is focused on commuter rail versus urban mass transit. Meanwhile, it takes me 45-60 minutes to get from the Sunset District to Caltrain on a crappy light-rail system and nearly a 100,000 people cram buses on the Geary corridor every day. I for one don’t think San Francisco should be waiting 20-30 years for BART to solve our transportation problems. I’d like to see the Muni Metro expanded and the existing lines upgraded so that the trains are always either in subways or on dedicated (i.e. Muni only) rights of way with priority signalling. In other words, T-Third quality at minimum. And we could help pay for this by refusing to contribute to these ridiculous expansions, which will be of very little benefit to the vast majority of BART riders. I should probably clarify that remark so that I’m not misunderstood. Jon, I certainly agree that tremendous benefits would accompany a high quality citywide rail system. I’m not sure how long you have been reading this site, but many previous postings here advocate for exactly that sort of vision and have been quite critical of costly suburban extensions. My remark you quoted above is a practical reflection based on the realities of funding transportation infrastructure, and based on the past six decades of transportation development in this region. There are many things I would like to see changed, and yet there is little or no evidence those necessary changes are forthcoming. You’d rather not wait 20-30 years for BART to solve San Francisco’s transit problems, and I agree that it seems unreasonable to wait so long for such highly desirable and needed improvements. I am a car-free city resident and daily Muni rider, and always frustrated to see riders crushing into packed 38 buses while BART sends mostly empty trains all the way out to Bay Point. I suggest though that you’d wait at least as long for the City to implement the changes you suggest, and based on prior experience with Metro expansion, probably with suboptimal results. Finally, I’m not sure who exactly you mean by “we.” Do you mean San Franciscans? San Francisco proper doesn’t have discretion to “refuse to contribute” to regional projects as such. Revenue streams generated by San Franciscans are used for San Francisco projects, but regional funding is distributed at the regional level. Funding for a project like the Livermore extension would largely be distributed at the federal, state, and regional levels, in addition to local funding generated by the county in which the project is located, i.e. not San Francisco. With that said, I’m glad BART is adding stations, but I wish there were more lines being created. Adding stations on the existing lines is just going to create bigger bottlenecks and more crowded trains. Also, keeping the system running later at night should be a priority. I’m certainly not criticising your position. I’m aware that you have been a strong supporter of BRT on Geary and Van Ness and I would certainly echo that support, particularly if it was built light rail ready. Until recently I lived in the Richmond on 38th Ave so I’m well aware of the issues with the Geary corridor. The T-Third is indeed mostly empty to Bayview, but the way it was built- with a dedicated right of way and decently spaced stops with actual platforms- makes it far superior in ride quality to the older light rail lines. It would be great to see the existing lines upgraded to that standard; in particular priority signalling and proper ADA-accessible platforms would be relatively cheap and easy to implement. Dedicated rights of way require more expenditure, but will become increasingly necessary as traffic gets increasingly worse. Perhaps I am mistaken in my understanding of BART funding. I thought that all three member counties contributed towards the cost of extensions, with funds topped up by federal grants and local tax measures in the relevant city or county. If I am mistaken I apologize, it’s just frustrating to see so much money spent on this extensions when much more modest sums could bring huge improvements to local transit in all of the Bay Area cities. In regards to the Jon/Eric discussion, id love to see Muni upgraded, but i have zero faith in them to do so. @Jon, i disagree with you about the T. Maybe it will be better when its connected to the subway (frankly, with 2 car trains on that line, i think it will be a crowded mess with overtly dangerous platforms if it ever gets ridership) but as is it takes an unreasonable amount of time to even get to Mission Bay. Say what you want about the suburban BART expansions (I totally agree it should be a profit-making Geary line first), but at least they have plans for expansion. Muni has a few token efforts, a subway line that might not even make it to North Beach and 2 BRT efforts that i have no faith in, and other than that, they think everything is good and that Muni is world-class. What a joke. … and proper ADA-accessible platforms would be relatively cheap and easy to implement. You might think so, but this is San Francisco, where nothing is ever easy. The City has been trying to do this for years but has been fought against it by neighbors who don’t want to lose parking. The SFMTA tentatively began the process again recently by including more ADA-compliant platforms on the Metro system as one objective of the Transit Effectiveness Project. But now, basically anything in the TEP that’s not a service cut has been postponed. … it’s just frustrating to see so much money spent on this extensions when much more modest sums could bring huge improvements to local transit in all of the Bay Area cities. I agree, it is frustrating, and it’s one premise that underlies my criticism here of many of our regional big ticket projects. My comment directly above was more directed to “expanding” Muni Metro. Just before the St. Francis Circle project re-do began, MUNI ran L-Train bus substitution on Taraval in the Sunset for some reason one day. I was amazed how much faster the bus was over the train. One of the major problems with the MUNI system is that the norm is for the trains to stop every 2 blocks (3 if you’re lucky) on the surface. This makes for a long commute as it takes forever to stop, load/unload, and accelerate, especially in mixed traffic. BART, on the other hand, has stations that are unusually too far apart (with the exception of downtown SF and OAK). It would be nice to have a happy medium, like Metro in DC. Yup, estimated # $40 k and by the time it is built, closer to $50 k. Utter waste of resources, but the sprawlburbs will wither no matter. The MTC’s recent sustainability study shows there will be NO money to operate ANY transit unless we invent some different funding sources and cut expenses drastically. Wasting vast sums on low usage extensions is insane. And as to the people who chose to move out to the distant burbs, for $40 k /person it would be cheaper to pay them to move adjacent to existing transit. i cant understand why there hasnt been any talk in recent decades of building a small heavy rail subway system in san francisco, on the same scale as the LA subway (20 miles of underground track). 20 miles of subway would go so far in SF given its only 7 x 7 miles in size. @Eric- I think we are in agreement on the substantial points of the debate. Seems to me like there are an awful lot of entrenched interests preventing civic progress in San Francisco, the ‘Don’t Block Noe’ mob being a recent example. @ Mark- Quite so, both rail and bus stops are spaced far too closely together in SF. Based on what I’ve seen in other cities my ballpark would be 1000ft separation for bus stops, 1750ft for surface light rail stops, and 0.5 miles for subway/underground light rail stops in the city center, stretching to 1-1.5 miles in the suburbs. Livermore residents have been paying for the BART extension for 50 YEARS. Don’t even talk to me about how much it costs – we’ve paid for it many times over. Lyn, I’d like to see the math on that. You’re saying Livermore’s 83,800 residents have paid $3.83 billion in BART sales taxes over 50 years? Assuming Livermore’s population was the same 50 years ago, that’s about $45,700 per resident, or about $914 per year. The BART sales tax is half a percent, so every resident would have to spend $182,816 per year on taxable items to pay that amount of BART sales tax. Since Livermore’s median household income is about half that number, and since Livermore’s population was a lot lower 50 years ago, I’d say Livermore hasn’t come anywhere close to paying $3.83 billion in BART sales taxes. Livermore’s not the only BART city without a station. Some of the other cities that have paid BART taxes for decades without any hope of a BART station include Newark, San Ramon, Danville, Alamo, and Martinez. Not many people are aware that the proposed BART extension with stations/stops beyond the 580 freeway line will require the forced demolition of many Livermore homes along the railway line near Patterson Pass Road. My mother purchased a home along the railroad tracks less than two years ago, and would be forced to sell her property in the event that the BART plan goes through. In the meantime (we know this debate will continue for many years), she must disclose the potential demolition to potential buyers in the event that she decides to sell. I hope that we can all agree that this is unacceptable. Like many other UC Berkeley students and professors, I worked at Lawrence Livermore National Lab and I commuted daily to the Lab (via Vasco Road) by car from Berkeley. This would be a terrific and logical BART extension to build as soon as funding can be pulled together. San Ramon, Danville, Alamo, and Martinez all had a Rail Corridor going through them and they decided to turn it into a bike trail, not that it’s bad. But I would think that you would preserve the ROW for future rail projects coupled with bike/Walking trails and not encroaching on this very valuable peice of land. Now they expect Bart to go through the 680 Median? You seem to just be a Livermore hater, I’ve read your comments before. You complain about Livermore getting Bart all the time wanting it to go elsewhere. Livermore is getting Bart not just to get it. One, it was supposed to be part of the innitial system anyway, two, the current plan to downtown is in line with TOD goals and the redevelopment of downtown, three, it’s planned to go to LLNL and the I-Hub designated area where future tech. development will be built, four, it is supposed to bridge the gap between BART and ACE Train/HSR. If you ask me that’s multiple kills off of one stone. Well worth the $3.8B. Oh, and part of that cost is also for BART to build a new Train Yard with shops, train sidings, buildings and land all of wich are included in the tab. Something you need to consider. Dan, I have no beef with Livermore. I’m just saying the numbers don’t pencil out. Now that there’s a planned route, the next step is a ridership survey. Let’s see the cost per new rider. That’s one of the standard measures used to decide which transit projects get federal money. About 25% of the estimated $3.8B cost of the BART to Livermore extension is for the maintenance yard and shop to service the Dublin/Pleasanton line, which benefits the overall BART system. The cost also includes extra train cars so that service levels in the entire BART system are not affected by the addional 32,000 new BART riders per day from the Livermore extension as estimated in the PEIR. The cost per new rider ratio is actually favorable. Other benefits include significant reductions in vehicle miles travelled, greenhouse gasses, and energy usage over a no-build alternative. 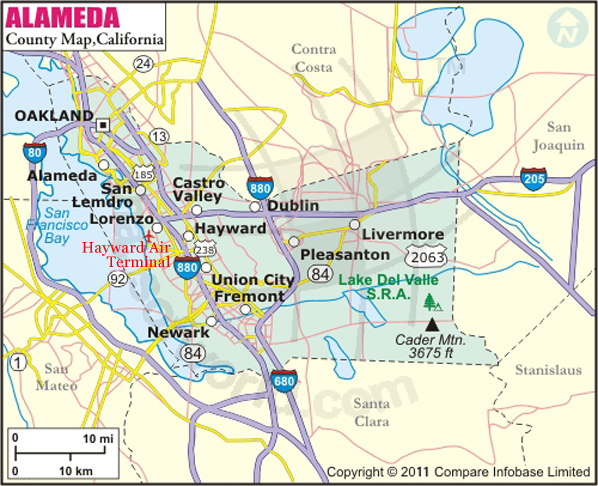 The east end of Livermore is the logical location to pick up commuters from eastern Contra Costa and San Joaquin counties, and to have a cross platform transfer with improved ACE service from Sacramento and the Central Valley to tie into statewide high speed rail. The Vasco station can accommodate the ACE or HSR transfer, capture Altamont and Vasco Road commuters, and serve the largest employment center in Livermore – the National Labs and the emerging science and technology park envisioned in the state-designated iHUB/i-Gate area north of the labs. The other logical station location is downtown, which is central to the community and contains the densest existing and planned land use in the city. downtown Livermore is an ABAG designated Priority Development Area. BART along the freeway median cannot accommodate TOD development and cannot meet regional, state and federal funding policies to obtain construction funding to build the extension. Some opponents mistakenly believe that the alignment was chosen to grab federal funding for other purposes. In fact, the federal funding obtained would be used to build the extension, not for any other discretionary use. Another misconception is that the tax monies paid by Livermore residents have been saved to pay for this extension. While the total tax monies paid by Livermore residents are in the neighborhood of a half billion dollars, that funding helps pay for operation and maintenance of the existing BART system. Funding to build BART to Livermore will need to come from many sources: federal, state, regional, and local as well public-private partnerships. Livermore’s local traffic impact fee on developers includes a component for BART to Livermore. Many opponenents are concerned with land acquisition and the displacement of families. A large majority of the 46 residential properties (99 units) identified in the PEIR as potentially needed to be acquired are in the area of the proposed downtown station footprint, and quite frankly, that area is in need of redevelopment. There are no residential properties identified in the PEIR for acquisition east of the Downtown. Noise impacts to those living adjacent to at-grade alignment between Downtown and Vasco will need to be addressed. Of course, those residents chose to live along a rail corridor, and it is unreasonable to believe use of that coridor would not increase over time. BART’s adoption of a preferred alignment to Livermore is the first significant milestone for BART to Livermore since the Livermore extension was first contemplated over 40 years ago. However, there are many steps and many years to go, including completion of a project level environmental analysis and a funding plan before this line would actually be built. Livermore has sold out its citizens by agreeing to BART’s proposed 2B alignment. Many cities have worked out compromises with BART that allowed BART to build while preserving the value of the city. Recently, the city of Fremont did not accept BART’s proposal for an elevated route above a park and obtained an agreement which put BART’s route under its park. Far from preserving its assets, Livermore has agreed to construction that can damage or destroy historical property. The city of Pleasanton expressed such great concern about the noise levels on land zoned for shops and auto malls that BART regarded the route over this area as problematic for noise. Livermore city council failed to even consider sound and agreed to a BART route within 200 feet or less of a newly refurbished K-8 school. The students will be exposed to the sound of the train, and due to the schools close location to the station, the students will also hear the sound of the horn every 12 minutes. The downtown area will be dominated by large parking garages to accommodate the 1,000 cars or more estimated to come to the downtown station. The current city garage, which holds less than 400 cars, appears large, but it is in scale with the performing arts building. The scale and number of the garages needed to be built would overpower the size of the downtown shops and businesses. Downtown Livermore is relatively small, 3 to 5 blocks, and offers a “strolling experience” of small shops, a cinema, and restaurants with sidewalk café dining. This ambience would be lost to the noise of BART’s horns and trains, traffic congestion, and the exhaust from so many cars. With the choice of alignment 2B, Livermore stands to lose its appeal, its history, and its quality of life. It is very disappointing that Livermore who had an opportunity to be creative and innovative in their integration of BART into downtown Livermore chose a plan that seems to have a vast potential for urban blight. By the time BART reaches Livermore (long time from now), it will have completely replaced its fleet. There is no reason to suspect that the new and future railcars will be anything close to as loud as the current fleet. Also, BART trains don’t sound their horns when leaving or entering a station, as they are not governed by FRA rules. Assuming that the Livermore intermodal station ends up hosting an upgraded ACE high speed train, the area will likely be grade-separated, and NO trains will sound their horns anymore when going through the area. Your response is very confusing, because BART representatives discussed the noise of the BART trains’ horns as they left/entered stations. Currently, horns by ACE and freight trains are also used very frequently because of trespassers on the UP rail, the corridor that BART will use. Driving through Livermore, one can often observe people crossing the UP tracks during the day including mothers with strollers and people on the rail bridges even though there is a safe pathway nearby. The number of blasting horns, not the rhythmic warning noise, but a loud long blast by freight trains next to the downtown station intersection suggests that there may even be a very dangerous game being played of proving “macho” by walking in front of an oncoming train and listening to the engineer blast their horn. The issue of tracks and/or safety walls dividing a small town needs to be evaluated very carefully for the safety of all the citizens, even those citizens willing to take high risks. Housing on one side of the track with schools, groceries, movies on the other really requires the very best careful consideration especially when the rails will be traveled every 14 minutes. This is a challenging issue that needs to be resolved for the safety of the citizens of Livermore, and city planners need to work with BART to very carefully consider this issue along with many other complex issues rather than rush through a compromise alignment to be next in line for BART money. Unless I’m very mistaken, BART trains don’t sound their horn unless there is a safety hazard observed by the driver, such as someone standing too close to the tracks or someone even on the tracks. Please note that I ride BART very infrequently and may be mistaken. About the issue of people crossing the train tracks at non-dedicated location: You should NEVER cross the tracks at a location that is not a controlled crossing. Way too many people die each year because they don’t see the train or misjudge the train’s speed. That’s not a reason to not build BART. BART will be grade-separated, and no one will be able to cross the tracks. Grade separation is one of the best ways to improve safety for those having to cross from one side to the other of a railroad. Like I also said above, with grade separation, trains will no longer sound their horns when crossing roads. Finally, Alternative 2b is actually in a tunnel all the way past the school you referred to. There will be no noise at the school from BART operations. Livermore needs to plan carefully so that people are not killed at non dedicated crossing, but not “Berlin Wall” the city. Whether the school is located by tracks or right next to the tunnel’s opening, the planning needs to consider the welfare of the students in the school. This is a problematic case of a community being cut in half by a wall and/or track and the city needs to insure that there is not economic isolation. City engineers need to meet with the residents who chose infill rather than sprawl and get their input. Statements that these people are naive for not anticipating high speed rail or BART being placed on the UP tracks serve only to alienate members of the community. Did these suddenly self righteous officials anticipate the change in rail traffic five years ago? And if they did why didn’t they recommend off setting houses and businesses that were built only two or three years ago? They could have saved a lot of government money, residential grief, and anger about the project. The remarks are defensive CYA by city officials and serve to isolate rather than create. BART and city engineers need to reach out to the low income community whose housing and neighborhood are being cut in half and plowed down. An attitude that “frankly, this area needed redevelopment” without asking for input from that neighborhood of what they want is patronizing (kind word). Another case study where BART and the city did not rush through a proposal, but worked with the community and made the city more valuable is Fruitvale. BART abandoned a huge parking garage plan and worked to make a pedisterian mall at human scale. The community formed a task force and worked with BART to overcome financial and regulatory barriers to create a station that contributed to the community. It is not that BART does not belong in Livermore, it is that BART needs to be integrated into the community of Livermore so that all of Livermore can benefit. 2B is not that alignment! The “Berlin Wall” analogy is populist FUD. Sorry for being so blunt, but I grew up in Berlin, and it’s insulting for having people compare their situation to the Berlin Wall. If they start building guard towers, minefields, booby traps, attack dogs, and searchlights, then you can compare it to the Berlin Wall. Next point: LIVERMORE IS ALREADY CUT IN HALF BY THE TRACKS. The fact that people cross the tracks illegally does nothing to counter that fact, other than that the trespassers (yes, that’s what they are) are risking their lives by crossing active rail lines. Building BART would make Livermore safer, by closing off the opportunity to cross the tracks at uncontrolled locations, as BART has to be completely grade-separated. By law, your concerns of required planning HAVE to be addressed. As someone stated above, this was just a Program level EIR. Prior to any construction, a Project level EIR has to be prepared. This will discuss, in nauseating detail, among other things, any and all noise, vibration, and traffic impacts (both vehicle and pedestrian). One of the nice things about CEQA, as opposed to NEPA, is that negative impacts HAVE to be mitigated, unless completely and utterly impractical to implement. My recommendation would be to make sure your municipal officials and the BART planners know that you’re very concerned with permeability of the tracks, as in you want as many opportunities for people to cross the tracks safely as possible. Therefore, at the current state of design, the horn noise you are afraid of will be underground, if it occurs at all.